OF THE ORGANISATION Fågelskolan is a public school in Lund with pupils between 6 and 16 years old. We provide education for about 500 pupils. Fågelskolan created the project Language Cafés in 2003. Fågelskolan received the European language label award in 2004. Lieselotte Wengberg and Anna Lagnevik are both language teachers at Fågelskolan. We teach in grades 6-9. At Fågelskolan we offer English (core subject, starts grade 3), French, German and Spanish (start from grade 6). The project Language Cafés has been ongoing since 2003 and we are both actively working with it. EXPERIENCE OF THE ORGANIZATION IN PREVIOUS EUROPEAN PROJECTS The project Language Cafés has been presented at international conferences such as the European Language Label event in Tallinn and at the ICT for language learning in Florence. Fågelskolan has also collaborated around language learning and teaching languages with a teacher’s school in Kaliningrad. Fågelskolan has received groups of educators and school politicians from Estonia as well as teachers and students from Kaliningrad. The purpose of the visits was studying our successful language teaching methods. EXPERIENCE AND EXPERTISE OF THE ORGANIZATION IN THE PROJECT’S SUBJECT AREA We are certified language teachers with several years of language teaching experience. Ms Lagnevik has a master’s in education with the main subject English. 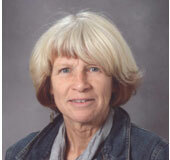 Mrs Wengberg has a bachelor’s degree in Spanish, German and French. 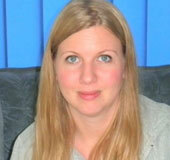 Mrs Wengberg was one of the creators of the Language Café project and has been working with since the start. Ms Lagnevik started working at Fågelskolan in 2005 and has been part of the project since then. CONTRIBUTIONS THAT CAN BE PROVIDED TO THE PROJECT We hope that we can contribute with our expertise in the area of language learning and teaching foreign languages to teenagers. We are very active in working with different ways of communication. We strive to create authentic conversation opportunities in the classrooms. REASONS OF INVOLVEMENT IN THE PROJECT We are curios to learn about different successful methods of teaching, programs used and language learning input from other European countries. We hope that this project will give us the opportunity to have exchanges of ideas and methods with other actors in the language learning sector. I have lived in Los Angeles for five years and I have studied music and worked there.